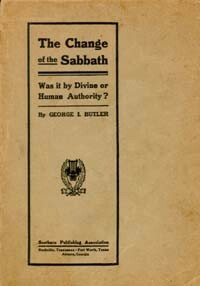 This book has been written with the hope that it may find access to a large number of people who desire information concerning the change of the Sabbath, a subject which is attracting more attention at the present time than it has for ages. The questions are often asked, How was the change from the observance of the seventh to the first day of the week brought about? On what authority does it stand? The following pages will quite fully answer these queries, although the work does not aim to be a thorough exposition of the subject treated.